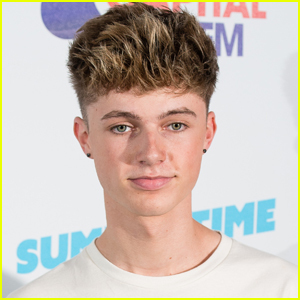 HRVY Photos, News, and Videos | Just Jared Jr.
HRVY Announces New Single 'Told You So'! HRVY just announced his new single – and it’s coming out really soon! The 20-year-old British singer took to Instagram to reveal that his upcoming song “Told You So” will be released this Friday, March 15. HRVY is currently rocking out on stage during his European tour. If you missed it, HRVY was nominated for Favorite Global Music Star at the upcoming 2019 Kids Choice Awards. Check out the full list of nominees here. We can’t wait to hear HRVY‘s new song! 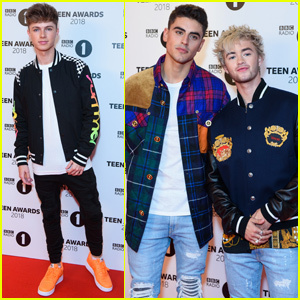 HRVY looked sharp while hitting the red carpet at the BBC Radio 1 Teen Awards! The 19-year-old musician stepped out for the award ceremony on Sunday evening (October 21) at SSE Arena in London, England. He was joined at the event by Jack Gilinsky and Jack Johnson from Jack & Jack! “Thanks for having us @bbcradio1 ❤️,” Jack & Jack wrote on their Instagram. 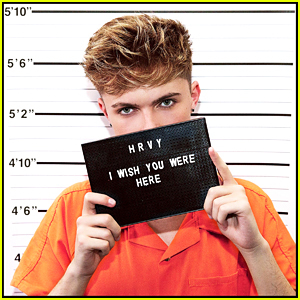 HRVY Says New Single ‘I Wish You Were Here’ Is A 'Pretty Big Deal' - Listen Now! HRVY is taking over our playlists! The 19-year-old British singer just released a brand new song and we are totally obsessed. “I Wish You Were Here” was produced by Loose Change and Mojam; and co-written by Corey Sanders, Alex Stacey, and Boy Matthews. Grab “I Wish You Were Here” on all digital platforms now! Hannah Stocking and Loren Gray probably didn’t plan this – but they wore the same dress to the 2018 Radio Disney Music Awards! Both creators hit the red carpet at the Dolby Theater in Los Angeles on Friday (June 22) and rocked the same one-shoulder, floral dress. Both of them look amazing in it too! Hannah‘s BFF Lele Pons, creator Rudy Mancuso, as well as musician HRVY were also seen at the event. FYI: Hannah and Loren are wearing the Atoir “Queen of Hearts” dress. 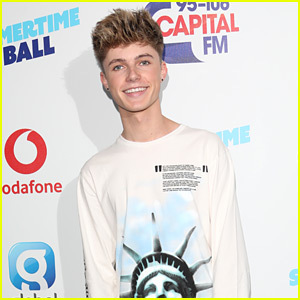 HRVY steps out for the 2018 Capital Summertime Ball at Wembley Stadium over the weekend in London, England. The 19-year-old musician just recently opened up about how his new collaboration with Malu, “Hasta Luego”, came about. “We wrote it whilst it was really raining in the UK, and we wanted like a summer vibe, because it was so depressing, cold and rainy,” HRVY shared. As for how Malu came on board, it was as easy as picking up the phone. If you missed it, check out the video for the track now on JJJ! HRVY Teams Up with Malu for 'Hasta Luego' - Watch Now! HRVY just dropped a brand new song and video! The 19-year-old singer joins Cuban-American srtist Malu for the tropical track “Hasta Luego“. “ITS OUT NOW! MY SINGLE IS OUT RIGHT NOW!!! HASTA LUEGO;))))))) love you guys,” he tweeted, with fire emojis. HRVY and Malu not only released the song, but they also dropped a fun, dance filled music video. Check it out below! Be sure to download “Hasta Luego” on iTunes here.